I work for a board. In fact, as a college president, I have worked for a board for the past 37 years. There are actually two boards at Sandhills. The one I work for is the Board of Trustees. They are the governing board of the college – some appointed by the Governor, some by the County Commissioners, some by the Board of Education. These are the folks who hired me, who direct my activities, who evaluate me, and, should the need ever arise, who fire me. 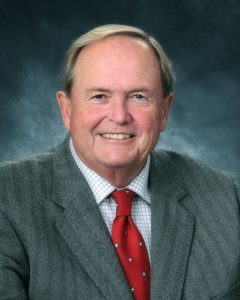 The leadership and professionalism of this board and its Chair, George Little, are the primary reasons I have remained at Sandhills for three decades. 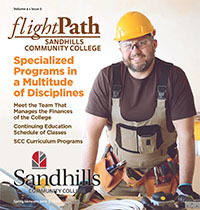 The other board at Sandhills is the Board of Directors of the Sandhills Community College Foundation. These 30 folks – appointed by the college’s Trustees – introduce us to people in the community whose philanthropy makes Sandhills the very special place that it is. In addition to working for and with boards at the college, I also serve or have served as a board member or board chair for about two dozen community organizations – here and at my prior positions in Charlotte and Charleston. Board service is a wonderful way to participate in and help our community. It’s hard to overstate the satisfaction that comes from helping direct the activities of organizations that help the less fortunate or add to the cultural richness of our area. Being asked to serve on a board is a great honor – but with that honor come some important responsibilities. Despite my long association with boards I’ve never had any real education in how they operate or in my responsibilities as a member. By osmosis, I’ve picked up a good idea about what makes boards and board members effective – but it might have been nice to have a little bit of formal training. That training is what we have in mind for a new workshop Sandhills is sponsoring from 2-4 pm on February 19 at the Sunrise Theater in Southern Pines. We hope it will be an opportunity to exchange ideas and to give people who serve on boards – both veteran board members and newly appointed ones – some useful tips on how to be effective in their roles. The workshop will feature a panel discussion by some folks who currently work for boards and some others who serve on them: Rev. Paul Murphy, Southern Pines Council member and the Pastor of Trinity Zion AME Church in Southern Pines; Craig Pryor, past Chair of the board of the Sunrise; Caroline Eddy, past Executive Director of the Boys and Girls Club of the Sandhills; and Amie Fraley, Executive Director of Habitat for Humanity. I will serve as moderator for the workshop, with assistance from Heather Lyons, Sandhills’ Dean of College Initiatives and the primary staff person for our college’s trustees. We realize that there are many different types of boards and that there are no rules or principles of “boardship” that fit them all. There are, however, certain elements that hold true across all boards, and those are what we hope to bring into focus. Need an example? Well, I’d suggest that it’s NEVER a good thing for boards to be surprised by reading bad news about their organization in the media. If an organization’s staff member has been arrested, the board had better learn about it long before it makes the papers! This is one of a number of board absolutes that our panelists will be discussing at the workshop. Sandhills and the Sunrise look forward to seeing you on February 19.